Mazda Forum > General > New Member Introduction Area > Mazda B2600i Mud Flaps and Stone Guard Wanted !! 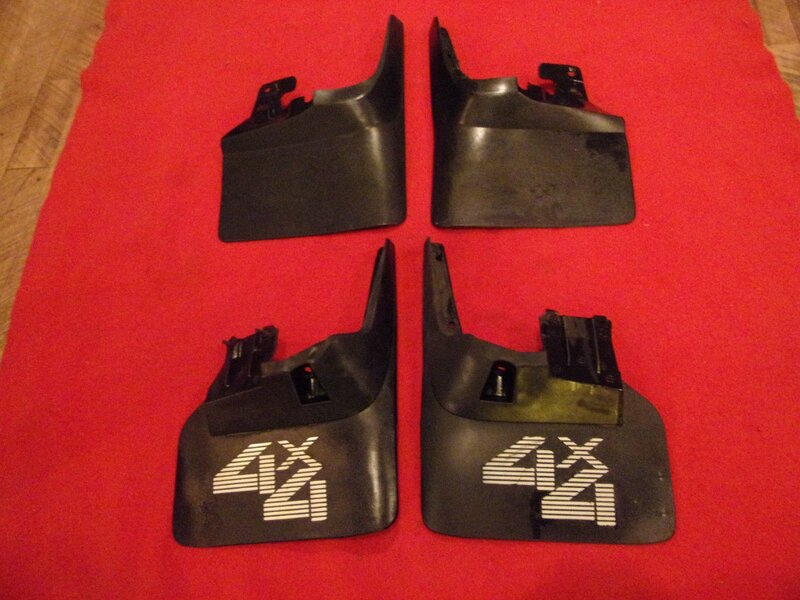 Mazda B2600i Mud Flaps and Stone Guard Wanted !! New to this forum, but expecting great things. I just purchased a 1991 B2600i SE-5 4x4 with 77k miles. Original Paint, A/C, Never Abused, Never Used For Towing or Off Road. I will post pictures soon and I'll love honest feedback. A one owner truck 100% original, always garaged, a real head turner. I paid $6,600 for it, don't know if I over paid or if it's a good price (please, advise !!) For me was like once in a lifetime type of truck and didn't wanted to see it go. I'm looking for the parts listed below, that I know ain't gonna find them here (I live in Puerto Rico). Looking for Very Good condition parts as I know it is hard to find them NOS will greatly appreciate any help in finding them, please let me know. Can pay with Paypal, parts can be shipped via USPS Priority from USA or any shipping company from any other country. I'll appreciate any help or if somebody can point me in the direction to find them. Check out https://www.mazdapartsprime.com/ . They have a wide selection of OEM Mazda parts and accessories. I couldn't find the mud flaps on the page so it looks like they're no longer available but you can try searching for everything else you're looking for on the web page. Hope this helps.